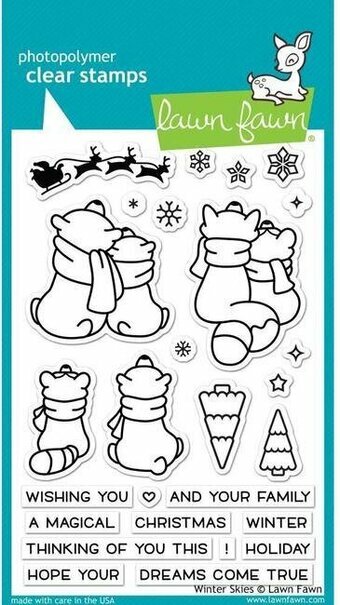 Approximate stamp sizes: [mama owl] 7/8"W x 1 1/4"H, [tree stump] 1 1/2"W x 1"H, [baby fox] 11/16"W x 3/4"H, [Mom] 1 3/8"W x 9/16"H, [happy mother's day] 1 3/8"W x 1/8"H.
Your cards and crafts will be out of this world with these cute stamps! This set is great for special occasions like birthdays and graduations, "i love you" cards, and for science lovers! Create a quick and cute card by stamping a planet with a smiley face (our favorite is Saturn! ), along with the sentiment "you are out of this world." Or go above and beyond by creating a scene with the entire solar system! Approximate stamp sizes: [astronaut] 1 5/8" x 1 1/8", [spaceship] 1 1/8" x 3/4", [sun] 1 3/8", [earth] 3/4", ["out of this world"] 1 3/4" x 3/8". A set of clear stamps from Lawn Fawn, featuring letters of the alphabet. 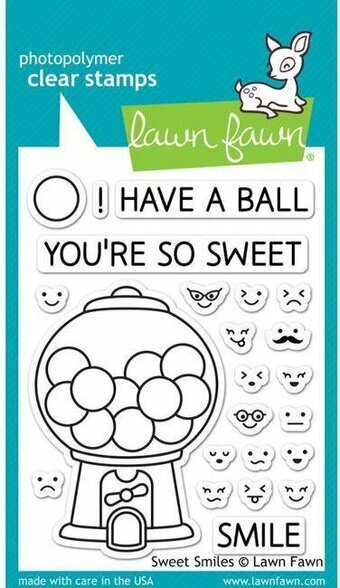 School or graduation themed clear stamps from Lawn Fawn featuring an owl, "Thanks for being my teacher", "Thanks for owl you do", and more. You'll have a ball with these 23 clear stamps! This set features a gumball machine, sentiments, and lots of smiley faces that will fit in the gumballs. The smiley faces will also coordinate with lots of other Lawn Fawn stamps, so you can stamp a smile onto your favorite image! 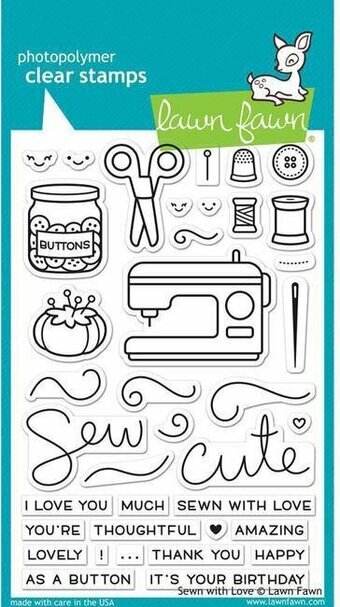 This stamp set coordinates perfectly with Sweet Smiles Lawn Cuts custom craft dies. Approximate stamp sizes: [Gumball Machine] 1 3/4"W x 2 5/8"H, [Gumball] 7/16"W x 7/16"H, [Mustache Smiley] 1/4"W x 1/8"H, [You're So Sweet] 2 1/2"W x 1/4"H, [Smile] 13/16"W x 1/4"H. Made with care in the USA!